From the Latin for "feathers" (reminiscent of old-fashioned quill pens), Penne Rigate is diagonally cut tubular shapes with ridged surfaces. 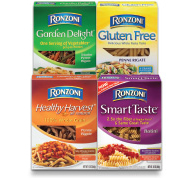 Use it in entrées, side dishes, soup, oven bakes or cold salads. 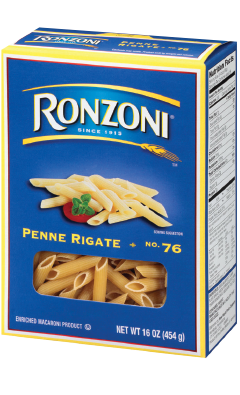 Most pasta sauces are great with Penne Rigate, but thinner sauces will cling to ridges in penne. Available in 16 oz.